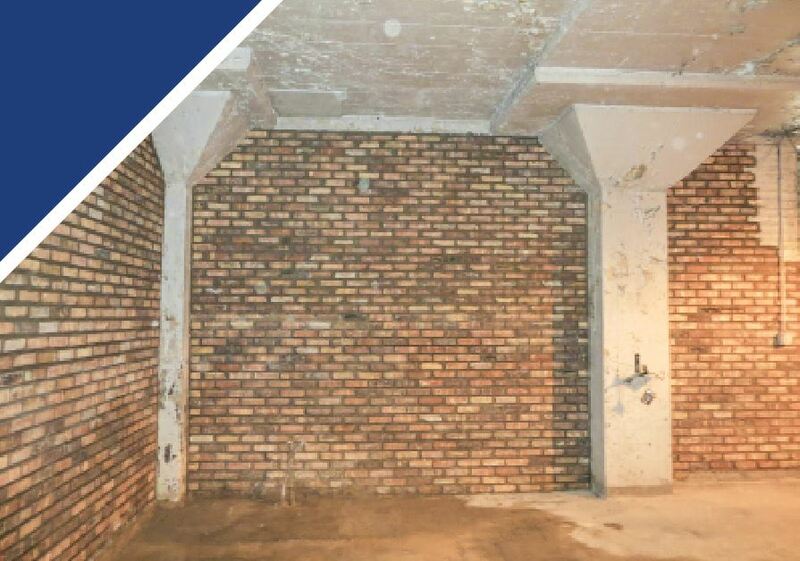 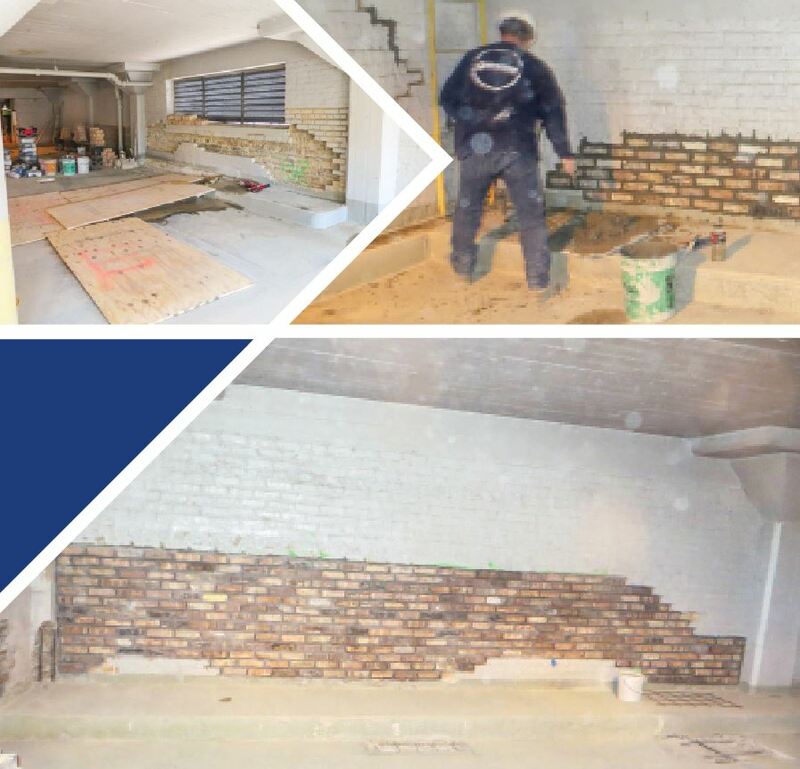 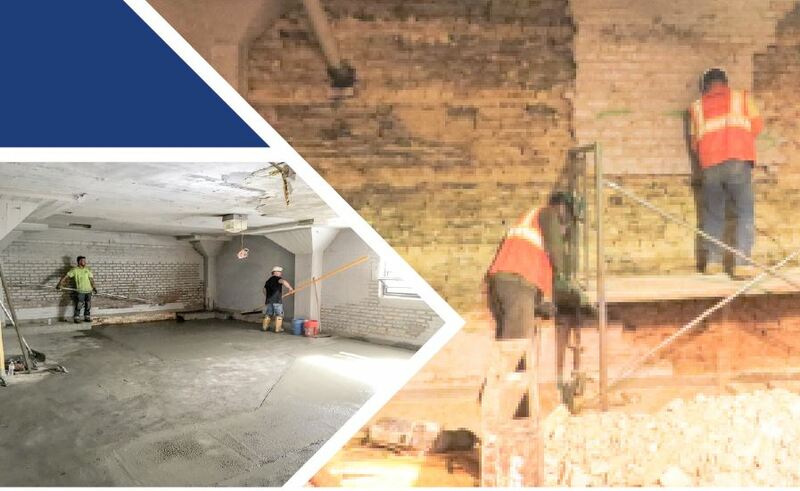 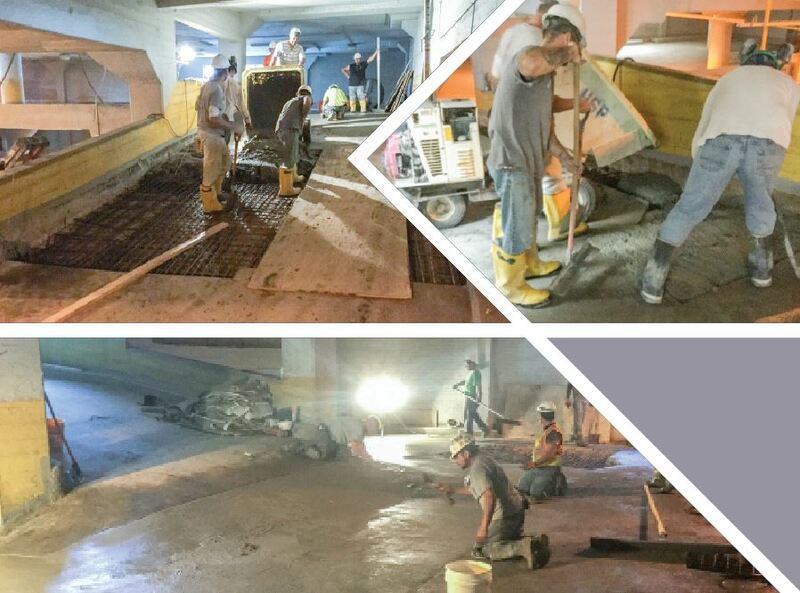 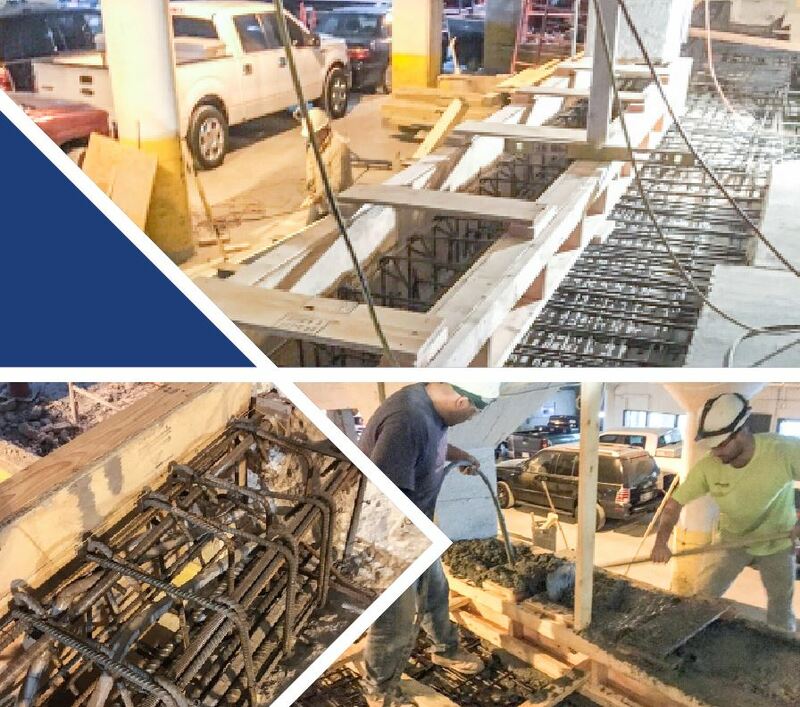 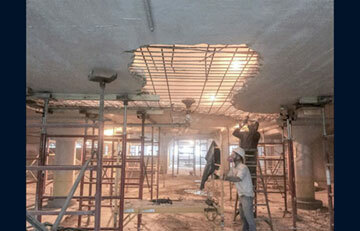 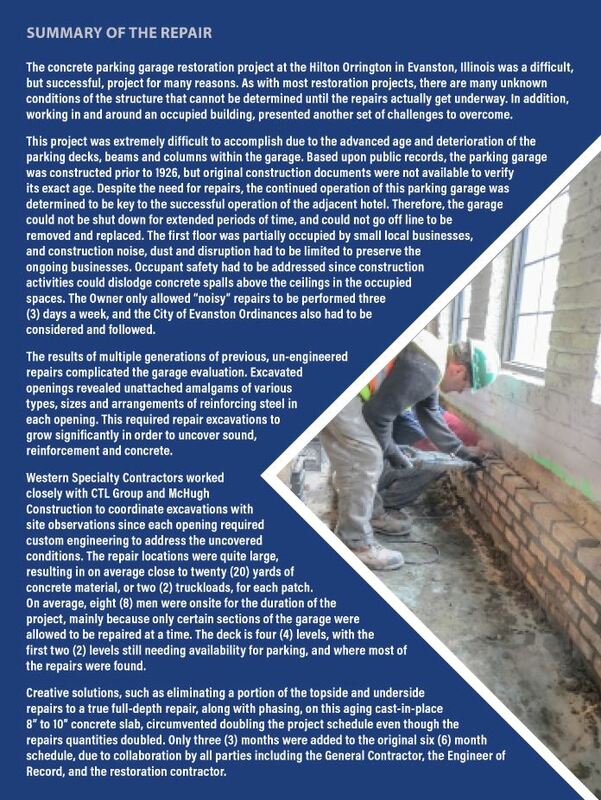 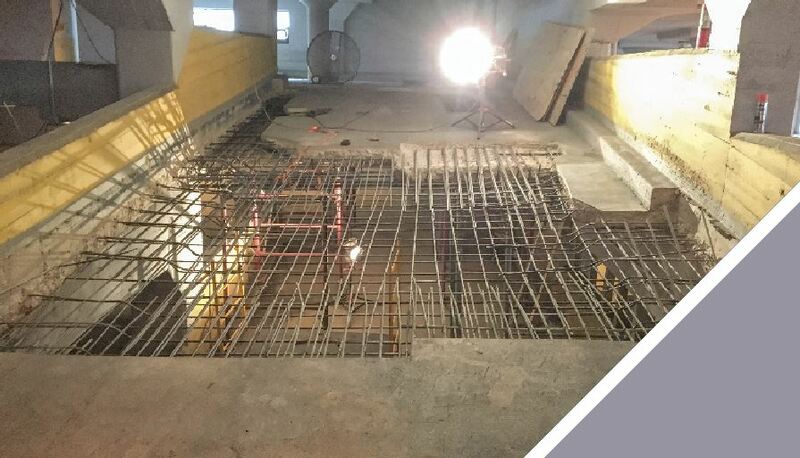 Western Specialty Contractors – Chicago Concrete Restoration Branch was recently honored with a “2016 Award of Excellence” for Outstanding Concrete Repair Project from the International Concrete Restoration Institute (ICRI) Chicago Chapter for restoration of the aging Hilton Orrington Evanston Hotel parking garage. 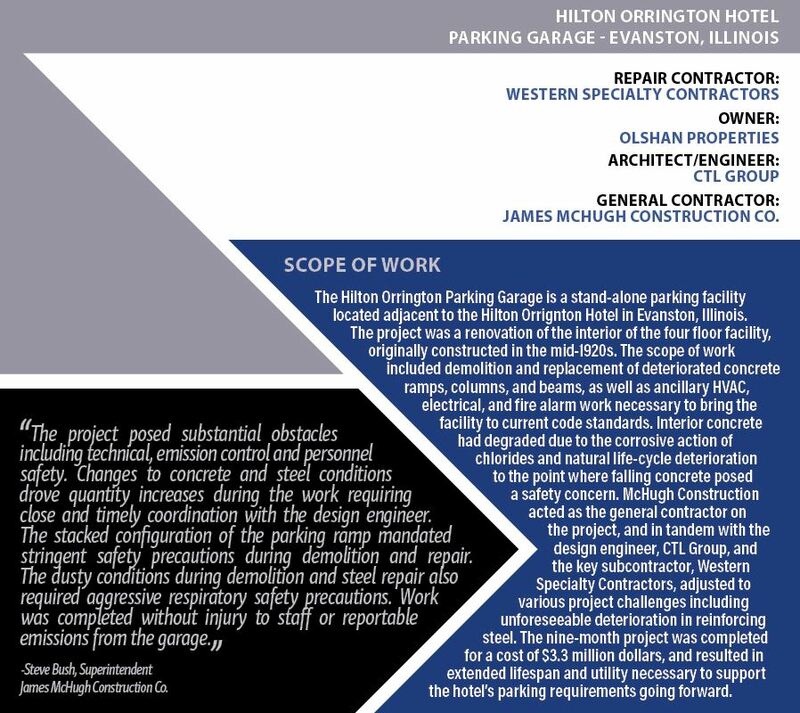 Constructed in the mid-1920s, the Hilton Orrington Parking Garage is a stand-alone parking structure located adjacent to the Hilton Orrington Hotel in Evanston, IL. 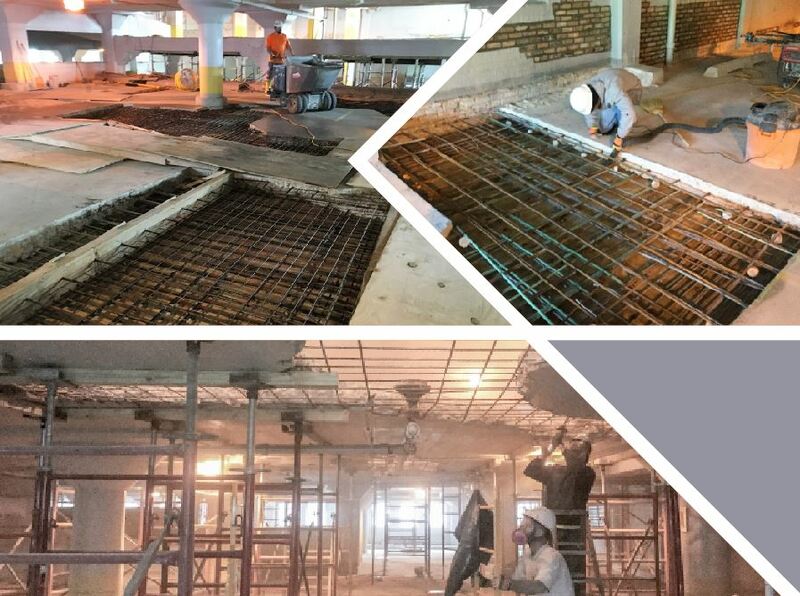 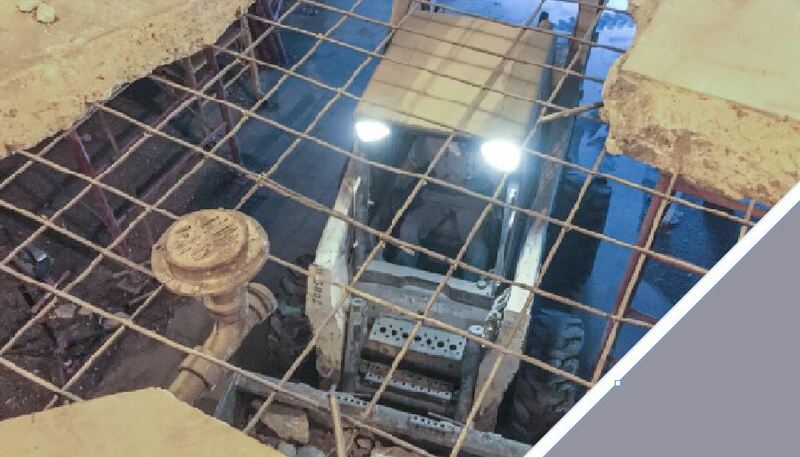 Its interior concrete had degraded due to the corrosive action of chlorides, such as salt, and natural life-cycle deterioration to the point where falling concrete was posing a safety hazard to visitors.